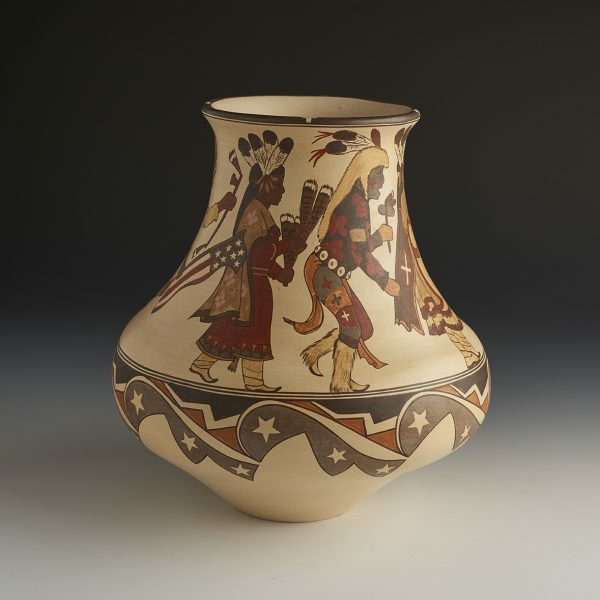 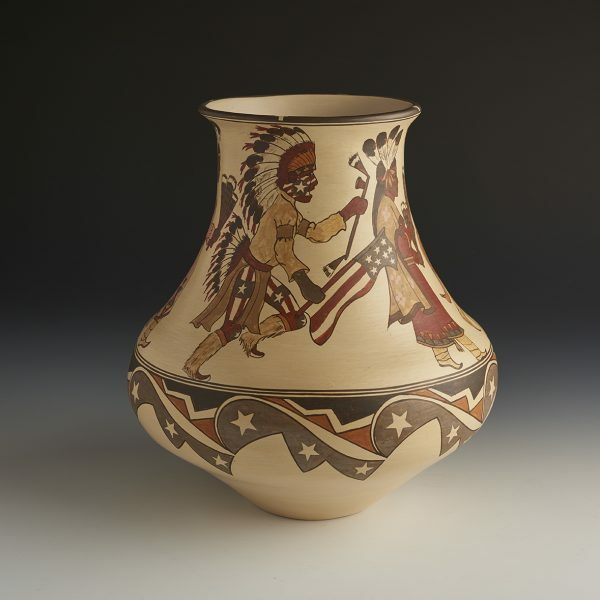 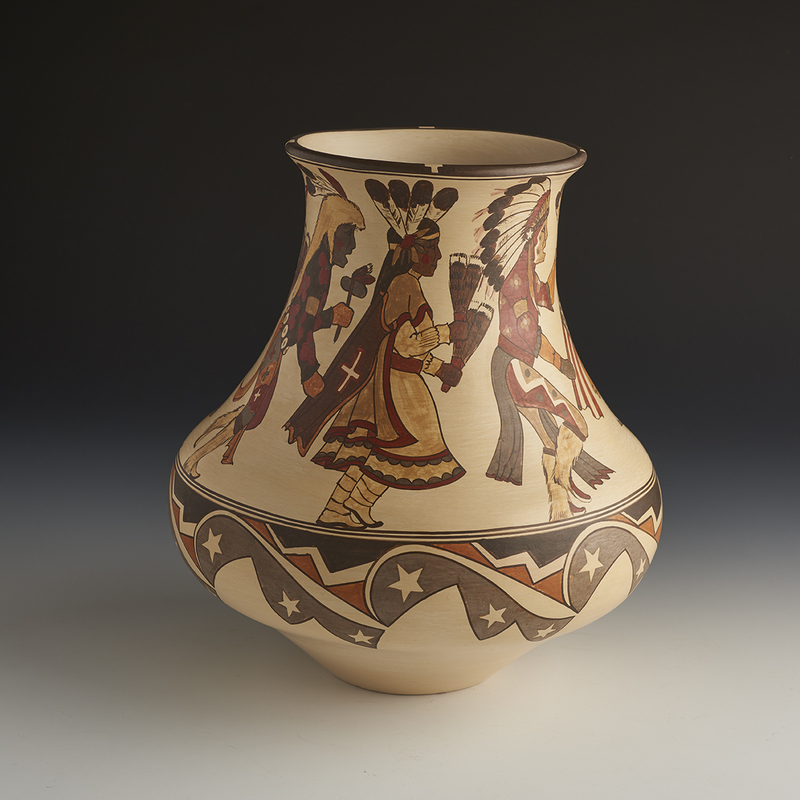 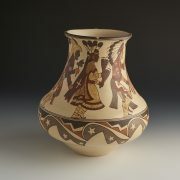 In 2000, Lois did a magnificent series of jars with various dances and Pueblo dancers. 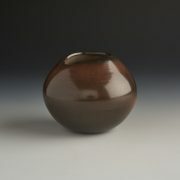 Two of these large jars that I had made at the time, are now back on the Market. 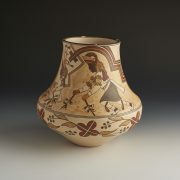 They are wonderful examples of her creative and detailed painted “stories”. This one shows the well -known Comanche Dance. 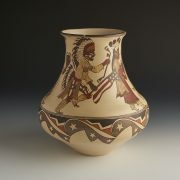 There is so much movement to the painted designs on this piece. You can actually feel the Dances happening right on the jar – it’s as if we are right there !